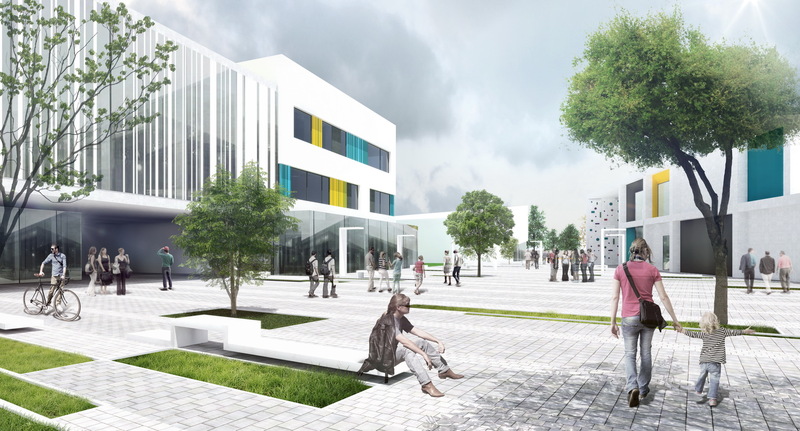 The buildings’ layout on the site is meant to create a central core, a Plaza that is easily accessible from all directions. Due to its wideness and conformation, the site can’t be crossed quickly, especially by young children. Therefore, we proposed a building layout that opens the Plaza to opposite sides, making it easily accessible and connecting all major areas. Thus, the Plaza is like a living organism that extends and fills every empty space between buildings through a single floor, creating a coherent urban composition that answers both to functional connectivity and aesthetic purposes. As a European school, DSBU gathers pupils from many European countries, and their number has increased every year. Therefore, a new place where the European principles and standards such as democracy, education, equality, learning together from each other are brought together. 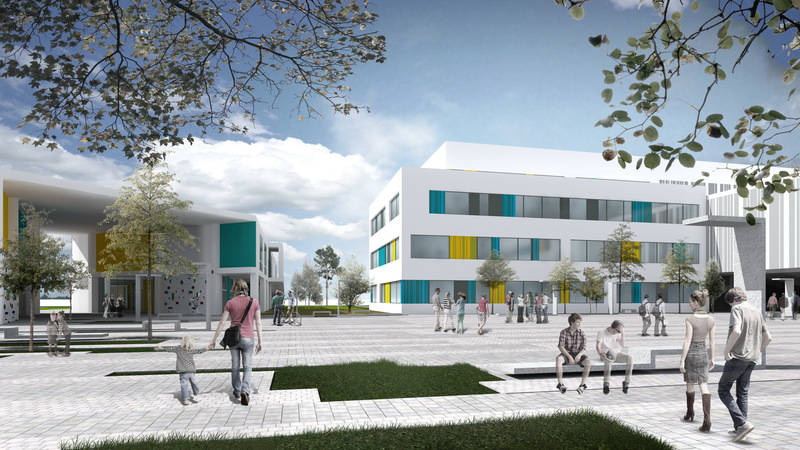 The purpose of this project is to create a new campus for DSBU (Deutsche Schule Bukarest) aimed to gather educational spaces for pupils from kindergarten to high school. The School Shelter is a covered space that supports the access to plaza from the northern side, the parking lots and the entries in the school units. 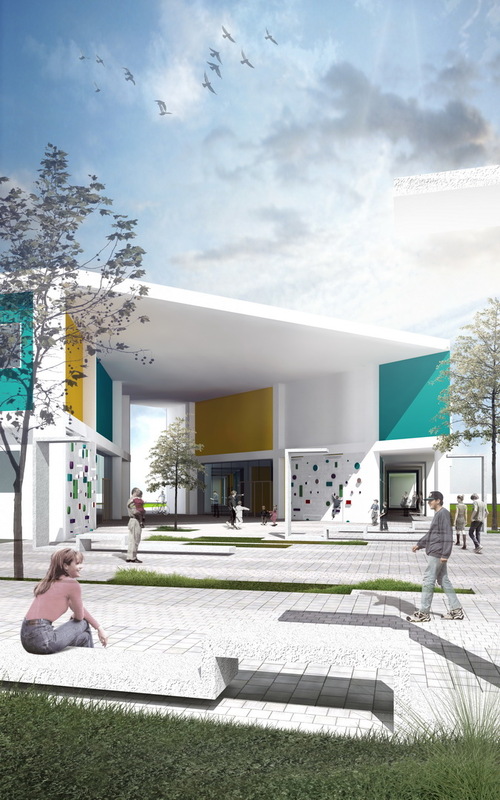 Therefore, the Plaza gathers both the school shelter and the kindergarten shelter, resulting a single space. 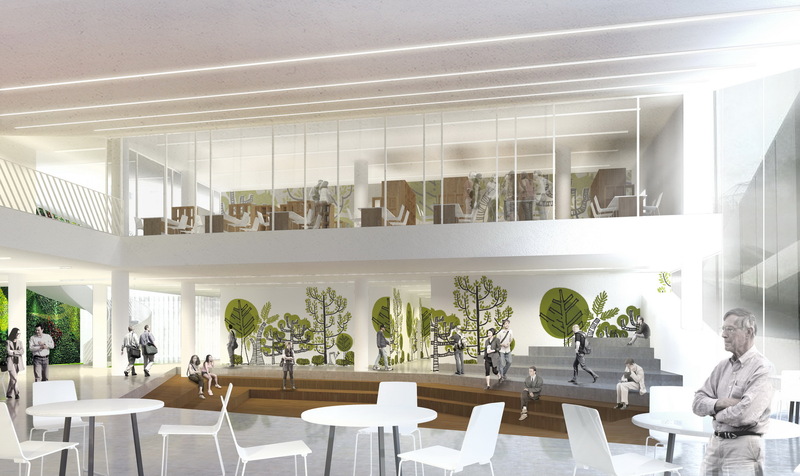 The spaces adjacent to the entries consist of transparent, flexible foyers, convertible canteen spaces and green houses with natural lighting. The process of integration between school and society is, in its very nature, very complex and it means making an active effort to open the school to the surroundings. 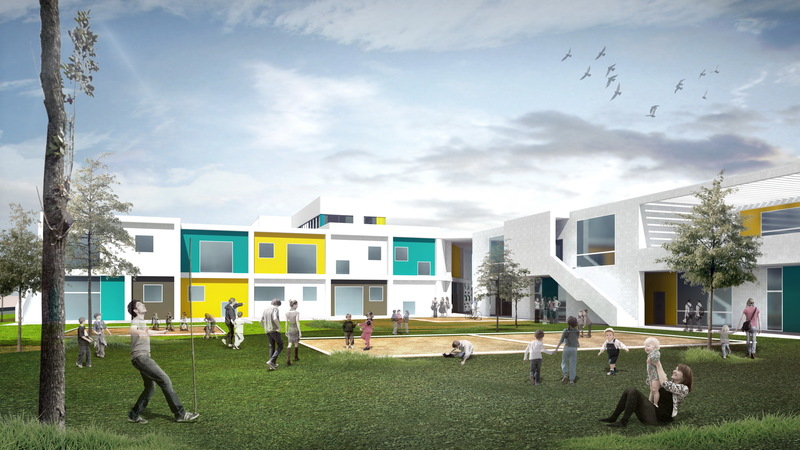 The school’s physical openness to the social surroundings as well as the campus’ sustainable eco-technology principles have an important goal – establishing good quality relations such as cooperation, mutual development and progress. 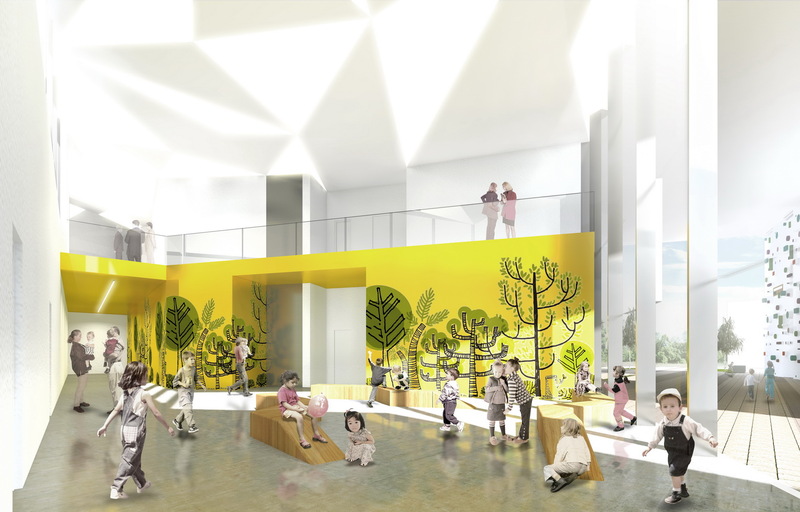 All the educational spaces designed for children are opened to the playgrounds, enabling an optimal natural lighting of spaces. Gala premiilor RBA este un eveniment de înaltă ținută, ce își propune să celebreze și să onoreze excelența în arhitectură. Evenimentul creează contextul propice de înțelegere a complexității manifestărilor arhitecturale actuale și de înțelegere a coeficientul de plus-valoare pe care arhitectura o aduce vieții urbane sau rurale contemporane. Anul acesta evenimentul se va desfășura la București, în data de 18 aprilie 2019.